Immature, diseased and moldy corn cob on the field, close-up. Collect corn crop. Over 30 years ago, scientists observed mycotoxin contaminated animal feed (grains) interfering with normal sexual development in young female pigs, resulting in estrogenic syndromes and precocious puberty. More recent human research in the U.S. is confirms that the contamination of our food supply with fungal toxins is adversely affecting the sexual development of young girls. Grains, once considered the foundation of the USDA’s “food pyramid” (and still a key component of its updated “food plate”), have recently come under scrutiny due to their purported evolutionary incompatibility (e.g. Paleo and/or ancestral diets), their co-option by biotech and agricultural corporations (e.g. Monsanto/Bayer’s Franken-Corn), as well as the fact that they convert to “sugar” within the body, to name but a few of a growing list of concerns. 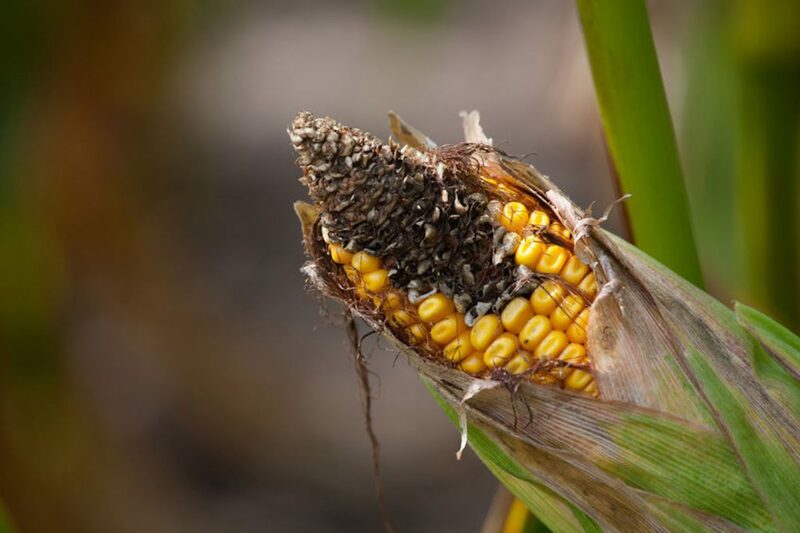 But there may be a more ancient problem affecting all grains, including both organic and conventional varieties, that Nature herself produces, and it goes by the name of mycotoxins. Learn more about mold toxicity at the upcoming summit on Jan 29-Feb 3rd.